Adopting a Hosted PBX solution can be one of the easiest ways to cut costs and elevate your business communication and telephony infrastructure. With all the heavy lifting handled in the cloud, by the service provider, a Hosted PBX will provide you with a plethora of robust features, unmatched flexibility and high quality voice calls. However, like any technology, adopting a Hosted PBX is not without its own drawbacks or hiccups. Many issues with VoIP and hosted PBX solutions can be fixed with a basic understanding of the system, or cooperation with your VoIP service provider. Familiarizing yourself with VoIP solutions, terminology and common pain points can save your business from a number of headaches when either switching from legacy phones to VoIP, or even starting fresh with a new Hosted PBX provider. The first step to maintain a high level of quality with your hosted PBX solution is to ensure your business is equipped with an adequate internet connect. Many of the common issues regarding VoIP call quality can be traced back to the internet connection on which the service relies. With a Hosted PBX, everything is handled directly through your internet connection, and your phone calls are transferred as data through this connection. A phone outage or even slight hiccups during your calls can easily diminish the professional image of your business, and some users may simply will not tolerate a poor communication experience. Thankfully, VoIP has become far more reliable in recent years, but unreliability can still be a key issue – but it can be in your hands to improve this reliability. 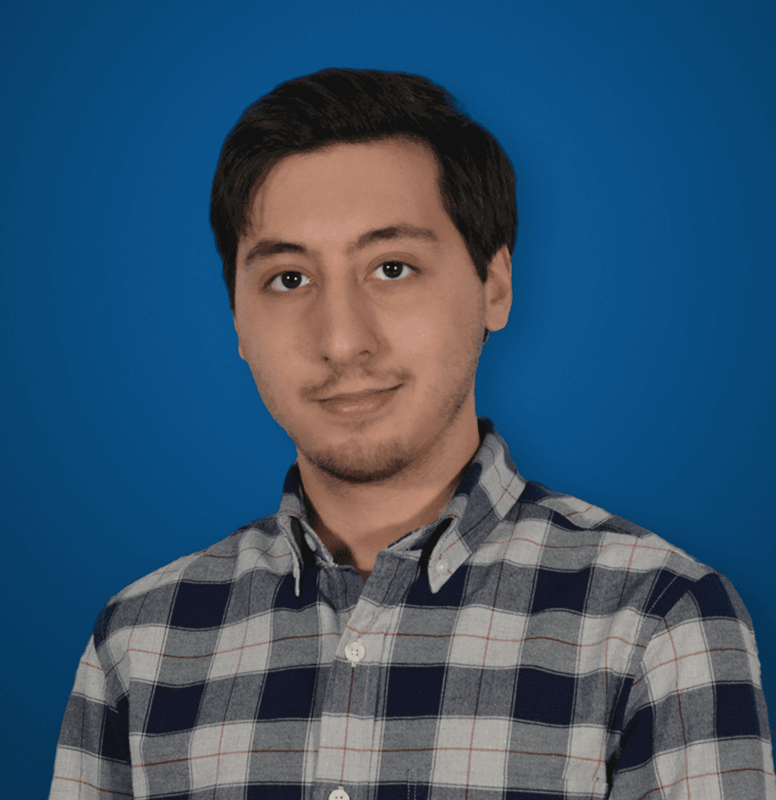 When adopting a hosted PBX solution, the first place to start is to test your internet connection, and recognize bottlenecks it may have. A system is only as robust as its weakest point. Of course when it comes to your internet connection, wired is always better than wireless. Wires allow for a constant flow of data, and cannot be interrupted by external factors like a wireless connection would be. Even with the most powerful router in the world, a WiFi signal will get blocked and weakened by any barriers it must pass through, and can be interrupted or receive interference. If possible, ensure that your connection is not limited to a Wi-Fi only setup to guarantee the strongest connection available. A good place to start would be to test out the speed of your internet connection to understand what you’re working with, and how to upgrade. Since your call data is being transferred over the internet, it is also imperative to ensure your office has the proper level of bandwidth available to handle not only this information, but any other data being transferred from standard internet usage all around the office. A typical VoIP call will consume roughly 85 kilobits (kbps) of both upload and download bandwidth – but the upload speed is key to your phone call quality. Without proper bandwidth and upload speed to push the data out, your calls can suffer from jitters or interruptions. Even with the most robust internet connection, highest bandwidth, and fastest upload speed available coursing through your office there is potential for the quality of your service to suffer. 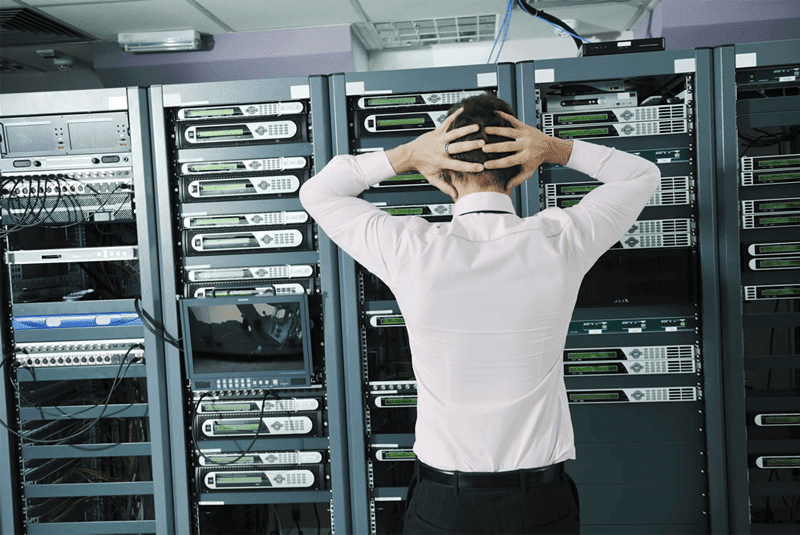 As stated before, jitters or interruptions, dropped calls jumbled speech due to misplaced or laggy data and even security concerns can plague VoIP connections if you do not maintain and manage the tools put in place to ensure your highest quality of service available. Without proper hardware or provisions it can be impossible to maintain a high level of calling quality which can negatively impact the presence of your business, and the ability to get work done. The first step to managing your quality of service would be to adopt a hosted PBX provider that can provide your business with a service level agreement. Common amongst most vendors, these agreements will help ensure that everything on the provider’s backend will not only work, but stay working as best as possible without any issues. But the rest will again fall back on your practices put in place to manage the quality of service you experience when making or receiving calls. With a proper internet connection to fuel the hosted PBX system, you should not notice any issues with your calls – but if everything is going well on your ISP’s end, there are still points of focus within your own business that can have an impact. 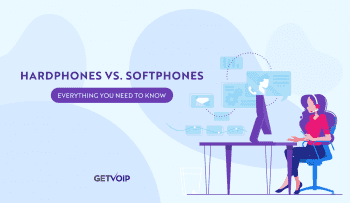 Establishing a VoIP connection still requires the use of routers and even possible switches to direct the data where it needs to go, and enable the hardware to speak with your network. Specific QoS-enabled routers and switches have built in functions to prioritize your VoIP traffic over standard internet usage, giving that data the expressway while everything else is delegated to the sides streets. Cutting down on the number of access points your information has to travel through will also improve your quality of service, if the data has to run through two individual routers, it’s can negatively impact that data transfer and slow everything down. Many Firewalls will also provide a filter list to block or allow incoming traffic, and these can be configured on a case-by-case basis to ensure the VoIP data has the bandwidth and permissions it needs. One of the largest culprits in interrupting or restricting your VoIP service is the dreaded router, or even any other incompatible hardware. Many old routers simply cannot support VoIP and the transfer of data that occurs (see best routers for VoIP). Other network hardware, such as switches (like mentioned above) can run into compatibility issues, and not only with VoIP protocols, but with themselves as well. Any outdated network that still utilizes old hardware, or even improper hardware, can make the transition to introducing a Hosted PBX solution a major headache, and continue to produce issues down the road. Not only can routers themselves be incompatible, but they can even be programmed incorrectly. If you are utilizing older legacy phones, or even phones from a different hosted PBX provider when switching to a new one, there is also the issue of provisioning your phones. Update, update and update. If your business is just now making the switch to a hosted PBX but still runs on a 5-year-old network, now might be the time to swap out all of that out gear for new, modern routers, switches, wires, or any other hardware and access points – even your old phones. Many providers will include or sell phones that come provisioned and ready to plug in, so the configuration is done for you – otherwise you may spend hours attempting to work your way through outdated web portals trying to hunt down the necessary IP addresses and account names to provision your old phones to your new service. When it comes to upgrading hardware, initial investment does not even need to be huge, as the most state of the art equipment isn’t always necessary – but rather ensuring the hardware you choose is compatible with your use case. Many providers will supply or sell their own VoIP compatible routers and switches, or can be sourced from independent retailers. Again, it’s not the most expensive that is important, but rather ensuring you have the proper tool for the job. Although, don’t expect to skimp out on a router and expect high quality calls, any random off-the-shelf entry level router from Best Buy might lead to even more headaches. It is also important to ensure your hardware is properly configured for the use you have in mind. Many routers have a giant list of features, functions, permissions and exceptions that can be configured directly through a user friendly internet portal. Of course the task can seem daunting for those unfamiliar, but the assistance of your VoIP provider and selecting VoIP focused hardware can make the task of opening the correct points a simple and easy one. Even purchasing a VoIP enabled or focused device should be enough to ensure your connections are configured properly. Reducing the number of points in between your network and the hosted PBX is also key, as mentioned above – less routers means less restriction on the data and network. As stated above, bringing in new phones to go with your new service can help cut down on the headache of provisioning your existing phones, although customer support for the providers should provide a hand with that as well, as the process is mostly about plugging in the correct information into the correct field, if upgrading is not an option. Computers, networks and even VoIP can seem daunting at first to those unfamiliar with what seems like a complex system. With its own unique terminology, abbreviations, and requirements, the unfamiliar nature of VoIP can prove challenging to even the most seasoned IT or data center manager. Running a data center or configuring the network for your office is a different task to implementing a VoIP solution, and many network administrators may just be uncertain of how VoIP or a Hosted PBX operates. With a lack of knowledge and even groundwork understanding, it can seem near impossible to transition to a VoIP solution, or at least improbable to take the time to gather the knowledge necessary to jump in. And even once you establish a hosted PBX solution for your office, who sets it up and knows how to maintain the system? Thankfully, the majority of the heavy lifting and setup for a Hosted PBX is handled by the provider, through the cloud. As the service is hosted on the provider’s back end and data centers, and not necessarily an extra infrastructure required to be established on premise, setup can be as simple as installing a new router. Because of the nature of hosted solutions, you can have your new phone system up and running within minutes. If you take the previous steps to ensure a strong enough internet connection and compatible hardware, setup should be as simple as calling a provider, plugging in all your hardware, and you’ll be all set to make calls. Gone are the days of deciphering the technobabble, having to decide which codec would work best for your system and complicated hardware provisioning. Of course getting everything setup is half the battle, and configuring your phone system is more than just plugging a phone into a router. With the massive feature lists provided with a Hosted PBX solution, you may need to take some time to configure everything the way you want – but again gone are the days of flipping through user manuals to understand complicated web portals. 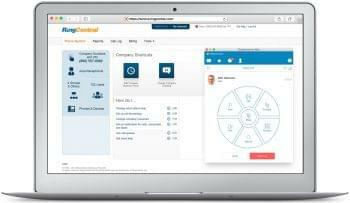 Generally included with the service, many Hosted PBX providers will include access to a super user friendly web portal, utilizing click and drag techniques so anyone of any skill level can quickly tailor their phone system to their use case. Training your employees should be a thing of the past. Of course, even with all the planning in the world, if something fails on your service provider’s end your business is left helpless until it gets solved. Everyone understand the hassles of dialing into a customer service line just to have to wait on hold for an agent, but when it comes to your phone lines – being without service for even a minute can spell disaster for your business. Whether your phone service goes down completely, you notice interruptions or jitters but everything on your end is fine, or you simply want to turn on or off a new feature, a provider without proper communication channels and poor support can turn minutes of downtime into hours, or even days. In this day and age, it’s almost impossible to find a company that does not place customer service on a very high pedestal. It has been proven that customers will easily drop a provider or business if they feel the customer support provided isn’t up to snuff. Thankfully, many if not all providers haven taken note of this and listened. Although customer service is agreed upon to be a key of success, not every provider is created equally and not every provider opens the same channels. It’s easy to boast about quality customer service, but if you only allow your customers to call your support line at very specific hours of the day, this won’t do anyone any good when their phones go down in the middle of the night. When comparing Hosted PBX providers, one of the most important aspects to cross shop and consider is the level of service, and avenues of communication that is provided. Some providers maintain 24/7 customer service phone lines, email addresses, and even live web chat so you can get in touch anyway at any time. Many providers will even go out of their way to ensure their customer service is 100% U.S. based so customers do not have to worry about a potential language barrier that can make a 5-minute call last 50 minutes. It is also important to note, some Hosted PBX services will provide different levels of customer service based on the level of service your business subscribes to, and even limits 24/7 phone support to higher paying customers. Choosing a provider that makes contacting them when something goes wrong as easy as possible will make the whole transition that much simpler. Security in any business of any size should be of a major concern when establishing a network, whether or not your business plans on adopting a Hosted PBX. With the addition of a hosted PBX, or VoIP solution, not only is your written data transferred over your network, but now all of your call and voice communications will be handled through the same network as well. 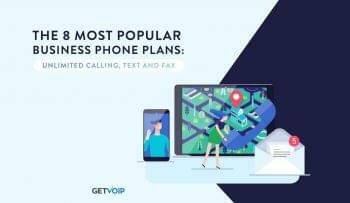 Due to the nature of VoIP, it can be possible for a party looking to infiltrate your network to get a hold of the call data being sent through your network, and intercept the communications, allowing them to essentially listen in on your phone call. With most of the framework of your phone system out of your hands, how can you be certain everything is locked up and secure? Well in fact, moving your phone service to the cloud inherently includes a number of security benefits simply due to the nature of the system. Administrators will have access to the web portal which not only provides the useful analytical information, access to your service’s features, but security functions as well. Admins can set specific access levels on a per-user basis so that only the personnel granted permission can manage your more powerful functions, or gain access to the information online. Admins can generally remotely disable a phone from using your hosted PBX service right from that same portal, so if a disgruntled employee leaves but has a phone at home, you can make sure they don’t have access to the network or service anymore. This same portal also makes tracking phone usage a quick and easy task, you can even record calls and listen in later. But what about unwanted intruders breaking through your network and listening in on your private calls? Thankfully, all the servers your Hosted PBX will operate are protect by industry leading encryption, and Session Border Controllers, to not ensure any data that is picked up will be a scrambled mess of information, but also act as a dedicated firewall just for your phone calls. Adding a Cloud Encryption Gateway and requiring passwords for all devices and connections to your network will also help keep out most attacks. On top of this, as mentioned previously in the router section, the hardware you employ can help lock down your network, as most routers will either act as a firewall themselves with the ability to restrict access to the network, but also employ their own software firewalls. Any extra lock you can put on the door will just make it that much harder for someone to break in.